The finest meals are intimate, shared and seasoned with easy conversation. 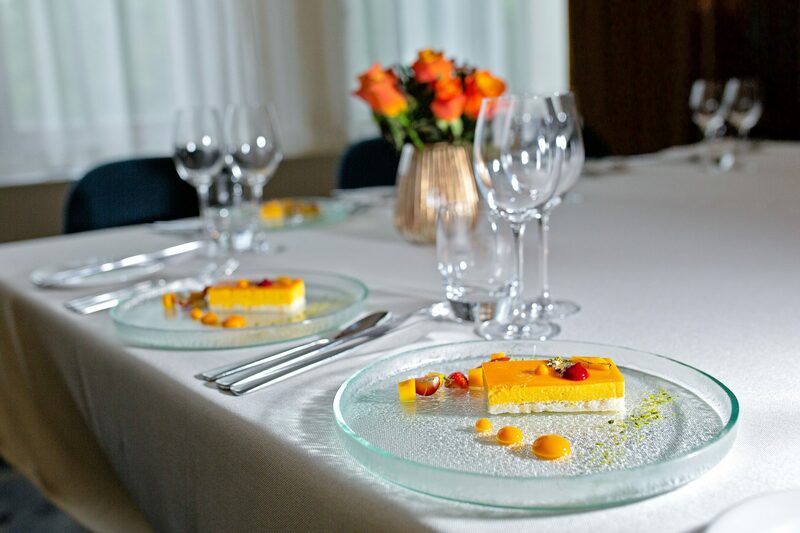 Therefore we’ve combined delicious food with elegant decor to set the scene for a private dining occasion that delights all of the senses. 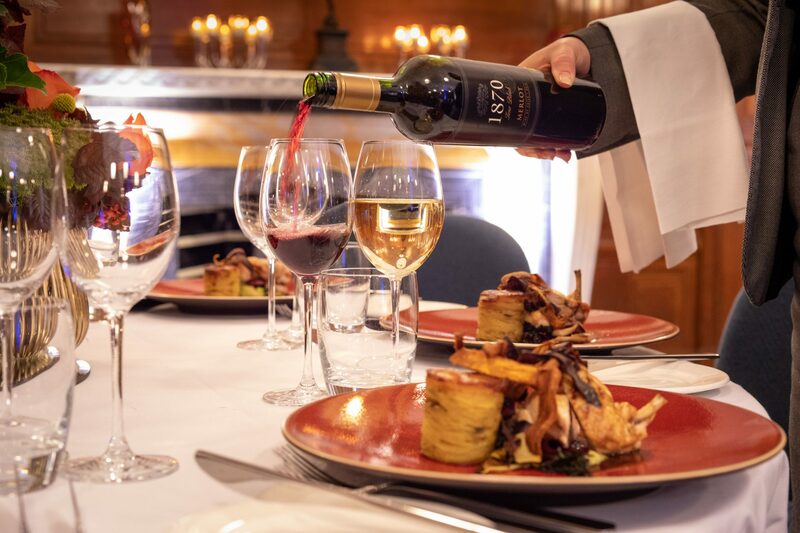 Wow your guests for an evening they’ll never forget by choosing our stunning State Rooms & Rooftop Terrace for larger dining events of up to 160. 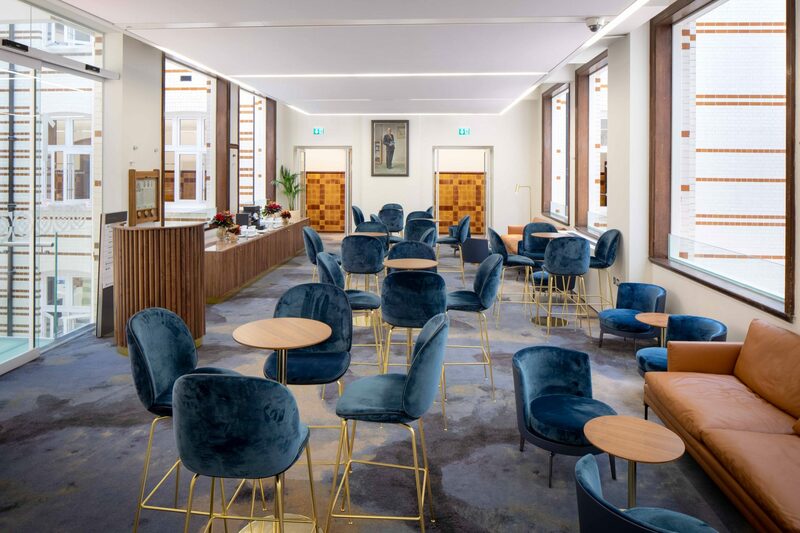 These spaces provide the full experience, begin with a networking drinks reception followed by a sophisticated seated dinner. In addition, the impressive decor including Moooi lighting, atmospheric uplighters and stylish center pieces create a sophisticated dining ambiance. Alternatively, choose from our suite of six Heritage Rooms which are complete with original oak paneled walls, grand fireplaces and charming decor. Also these rooms benefit from large windows which overlook Euston Square Gardens to create an inviting ambiance. 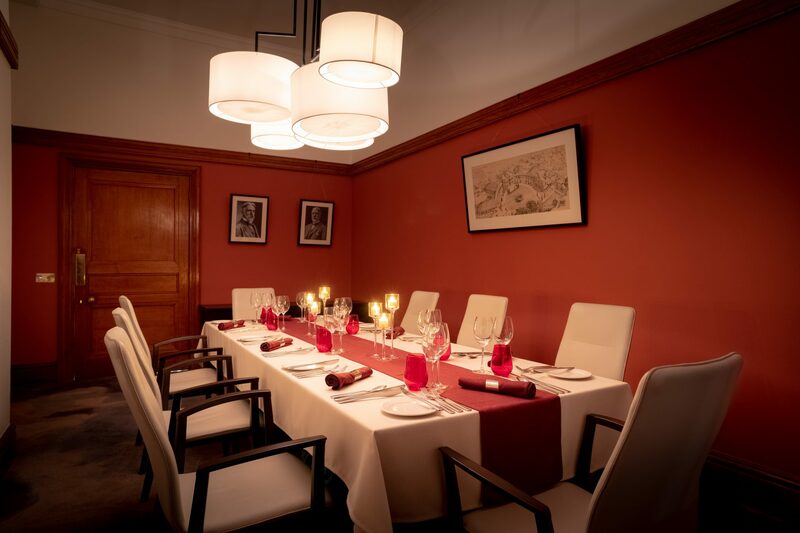 Recently refurbished with each room given its own character and charm, new furnishings, palatial amenities, fresh paint tones and state-of-art technology, The Heritage Rooms provide the perfect setting for intimate private dining. 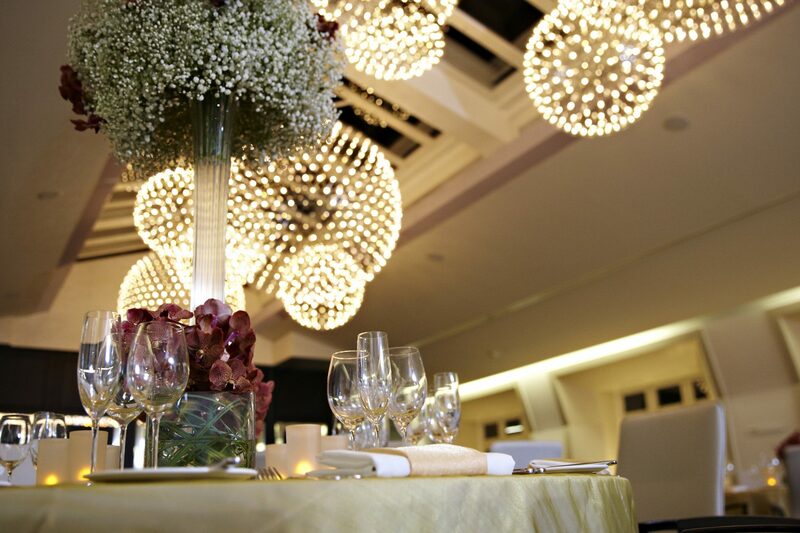 Our flexible spaces are perfect for varying styles of dining events. Whether you’re hosting an awards dinner for 100 to a client dinner of eight, our spaces are perfectly suited to banquets, birthdays and celebrations alike. If you’re looking for convenience, book our tiered Auditorium & Exhibition Space for a day event and follow with an evening of fine dining. 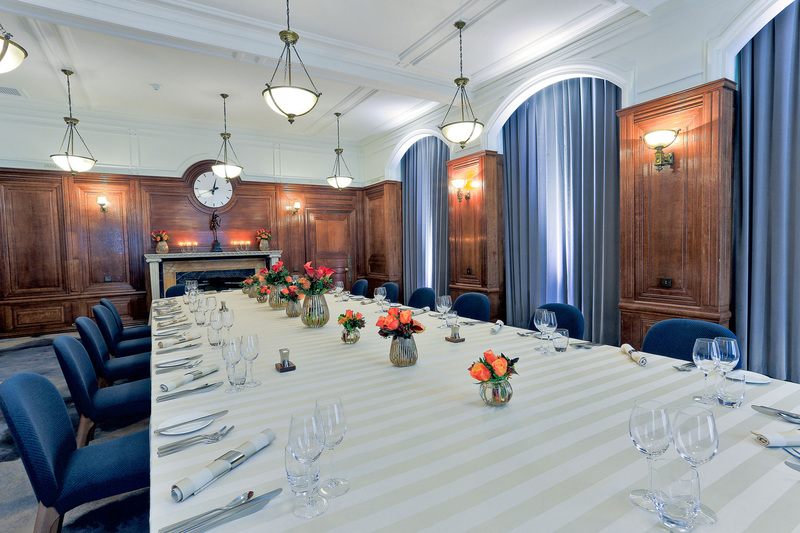 Our event spaces each have their own exclusive floor, enabling us to wow you with our flexibility and adaptability. We also have 41 Boutique Bedrooms to make your event a completely stress free, enjoyable experience. 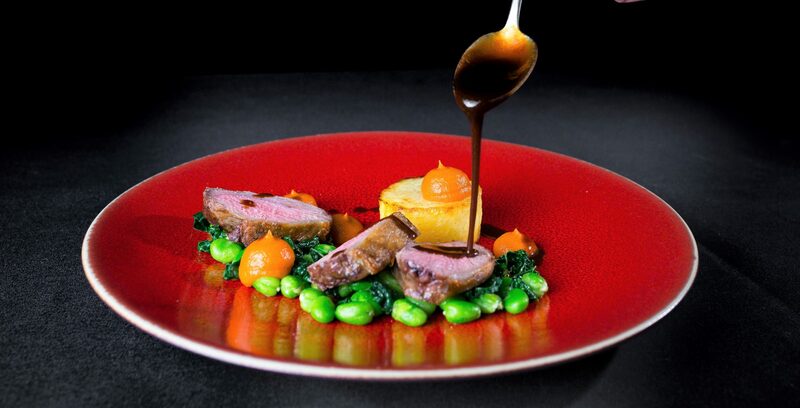 Our experienced Searcys chefs strive to uphold the standard as one of London’s leading hospitality providers. 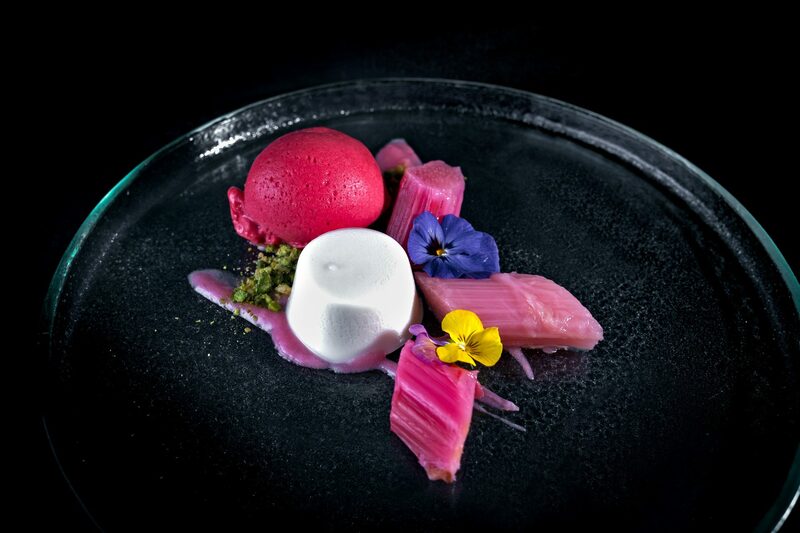 Therefore you can be confident that they’ll deliver delicious and beautifully presented dishes, every time. 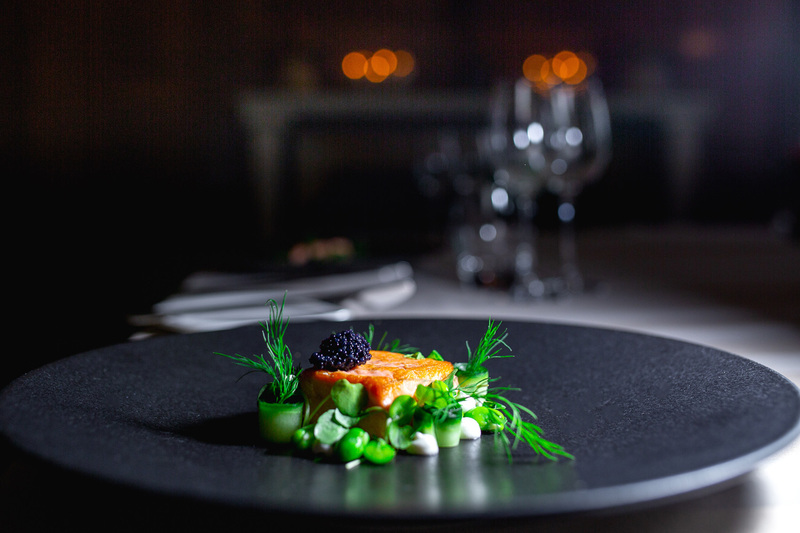 We refresh our dining menus monthly and use only the freshest, seasonal ingredients. As a result, your food will be of the highest possible standard. 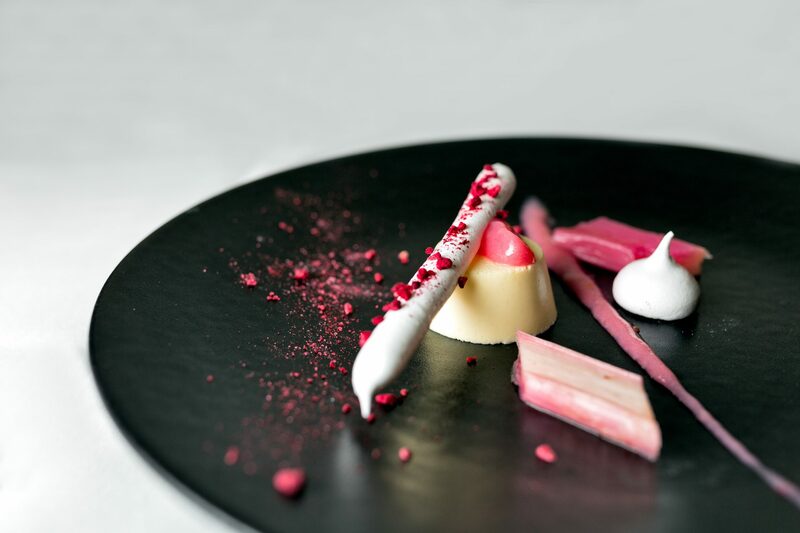 Furthermore, our talented chefs love working with you to design a bespoke creative menu for your guests. 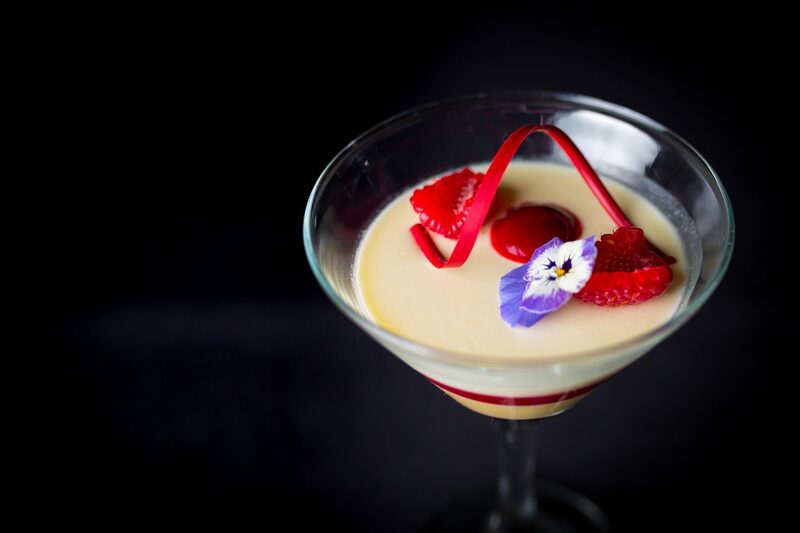 They thrive on working with different flavours and influences to design a menu that will entice all of the senses. Finally, we pride ourselves on our level of service, from the moment concierge greet you, to the friendly cloakroom attendant and the unobtrusive waiting staff. 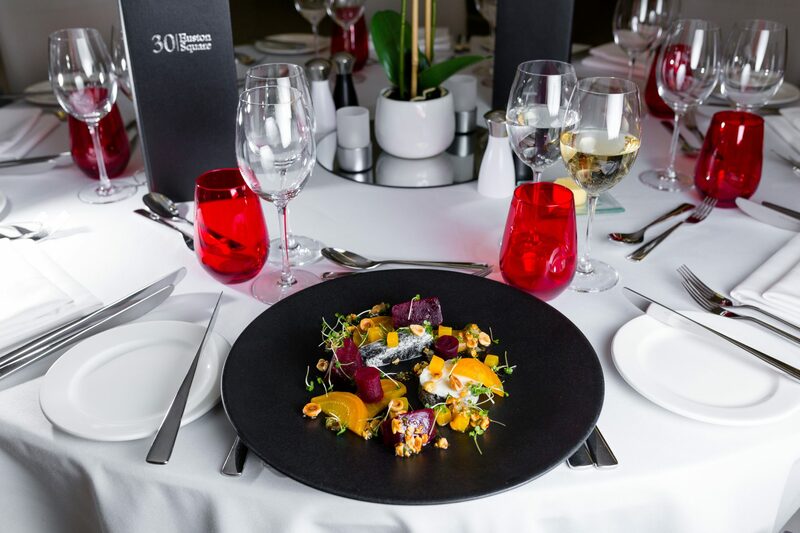 At 30 Euston Square you and your guests will experience only the highest level of service. Unsure on which space to go for and menu choice? 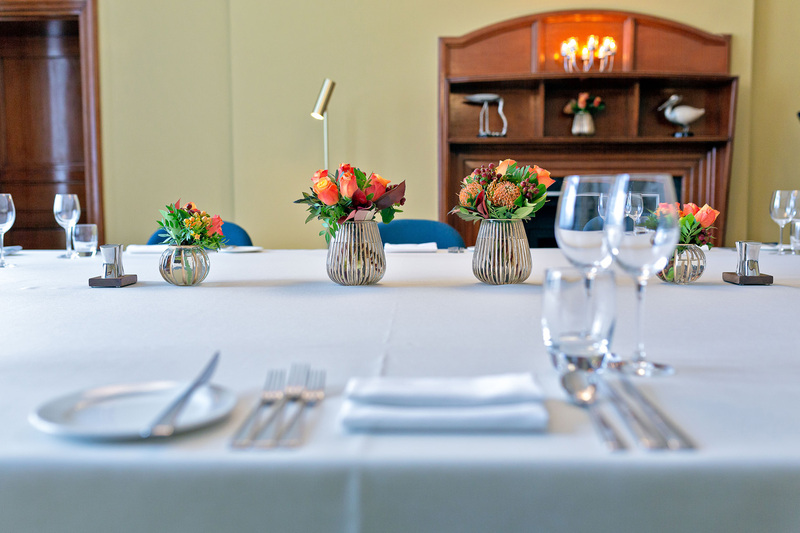 Enquire today to speak to a member of the team about your private dining occasion.